Here are some facts about Iceland. Iceland is an island country situated in the North Atlantic Ocean. It has a population of about 320,000 and is the most sparsely populated country in Europe. Most Icelanders live in and around the capital, Reykjavik. Almost all the rest of the country consists of mountains, glaciers and lava fields. There are 30 small islands as well as the main island. Reykjavik is the world’s most northerly capital city, and is one of the safest and cleanest cities in the world. Its name means ‘smoke coves’, and this is a reference to the many hot springs and geysers nearby. Most Icelanders believe in elves and some builders even build roads and houses to avoid disrupting elves’ homes. They are said to cause trouble and live in rocky areas. More Coca-Cola is drunk per person in Iceland than anywhere else. The residents also like a drink called Brennivin, made from potatoes. The Icelandic Parliament is the oldest in the world, and was established in 930 AD. The country was part of Denmark for much of its history, but became independent in 1944. Iceland has days (during July and August) when the sun never sets. Playing golf in the midnight sun is popular, and Iceland has one of the world’s most northerly golf courses. Iceland contains the most volcanic area in the world. It also has the largest waterfall and glacier in Europe. Icelanders are listed by their first name in the telephone book, and everyone uses first names. 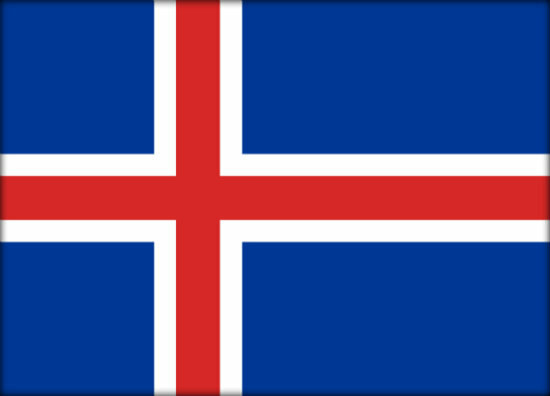 The last name of Icelanders comes from the first name of their father. In Iceland, the Yule Lads are said to deliver presents on Christmas Eve instead of Father Christmas. They deliver gifts to good children, and rotting potatoes to bad children.